Hi, everybody. Welcome to Career Connections. My name's Alie. I'm excited to take you behind the scenes to learn more about being an aquarist at the Aquarium of the Pacific. We are in front of one of our brightly colored tropical exhibits with some very recognizable inhabitants. You can see the fish swimming. This is what guests expect to see, but there's a lot happening behind the scenes. Tell us what we're not seeing. I work behind the scenes, where we have life-support equipment for these exhibits. 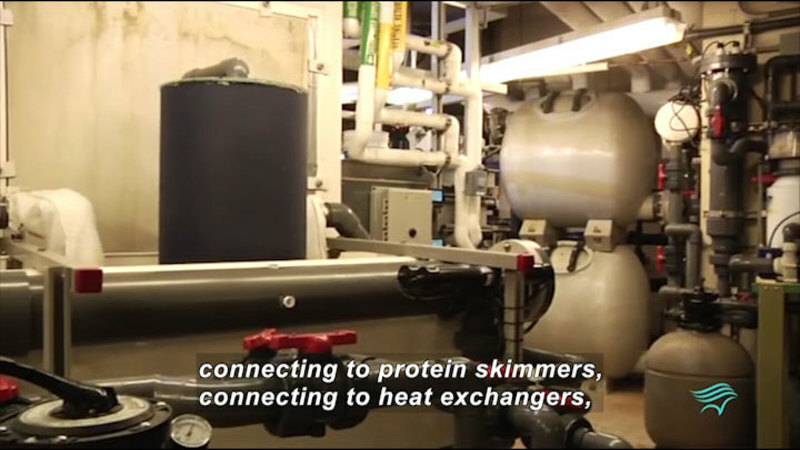 We have our pipes connecting to pumps, connecting to protein skimmers, connecting to heat exchangers, which regulates the temperature of the different exhibits. We have sand filters that clean out the water, as well as protein skimmers removing organic waste. So because it's equipment, it doesn't work perfectly all the time. What happens if something goes wrong? All of these pumps and skimmers are plugged in, so we could experience a power outage and we'd have to do problem solving to maintain the temperatures for the animals and keep the water clean for them. You have to be creative to make the best situation and give animals the right conditions to be successful. 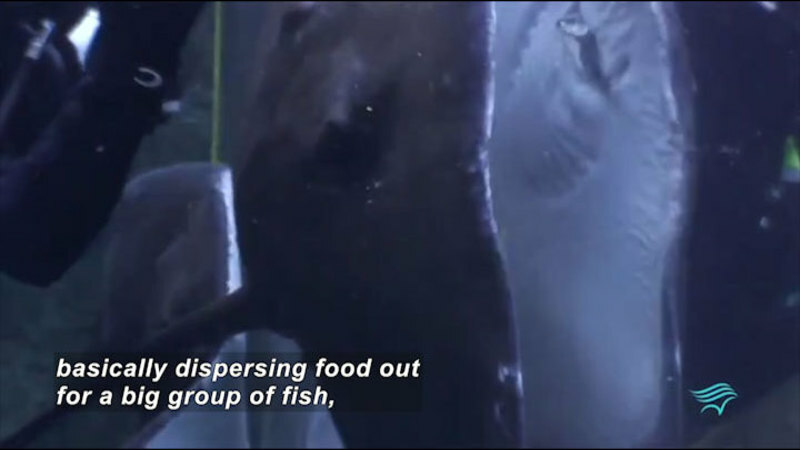 We do, even with our baby fish. Some exhibits can't be entered because they're too small, so we have to modify exhibits to keep and feed them. Hope you enjoyed your peek behind the scenes. Join us again for more Career Connections. 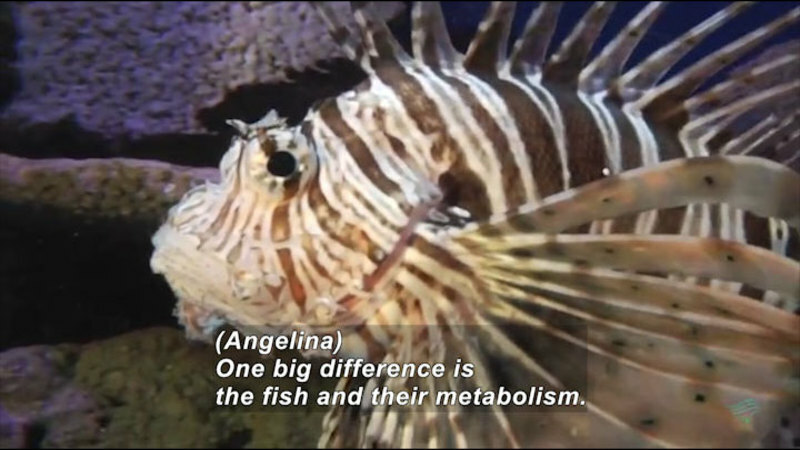 Go behind the scenes with Angelina and investigate the equipment and engineering skills needed to recreate ocean habitats. Explore a typical workspace of an aquarium and get a feel for the everyday problem solving skills needed as an aquarist. Part of the "Aquarist" series.